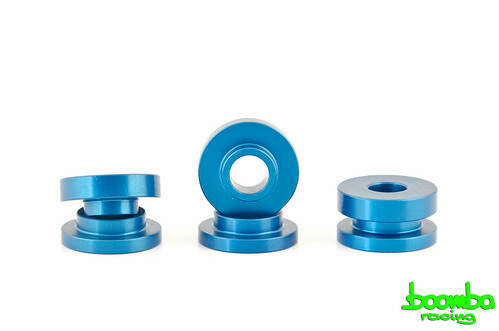 Boomba Racing aluminum cable bracket bushings are a direct replacement for the OEM rubber bushings. Once installed, they completely eliminate excess movement in the shifter cable bracket, creating a much more precise and exact shifting experience. 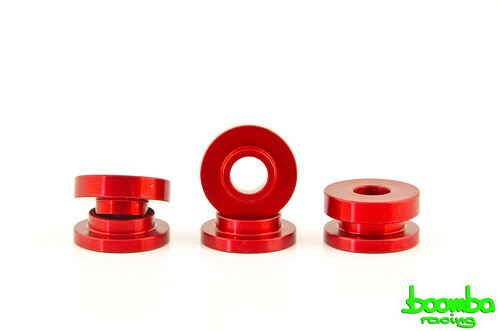 These bushings are precision CNC machined from high quality aircraft grade billet aluminum and are available in 4 different colors: Natural Aluminum, and Red, Black or Blue Anodized. Last edited by Boomba Racing; 06-27-2014 at 12:49 PM. Installed a set of shifter cable bushings like this in my MkV GTI, they made a very noticeable difference (in a good way). Highly recommend. Nice been waiting for these..
Last edited by rodmoe; 06-25-2014 at 08:02 PM. 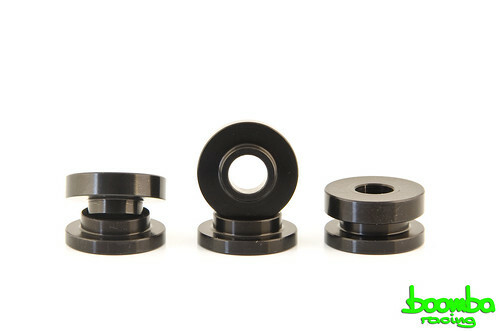 We're working on base bushings too! We'll keep you all updated! is Tihs user has no stauts. The website says it's in the Focus ST category. 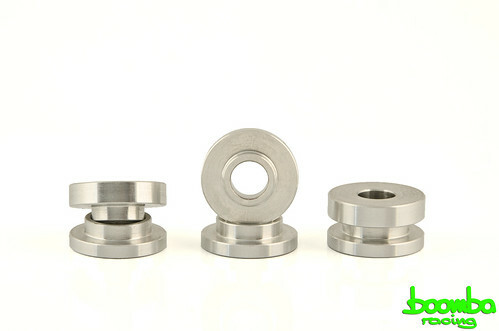 Do the Focus ST and the Fiesta ST share the same bushings? The Trans bracket bushings are the same! 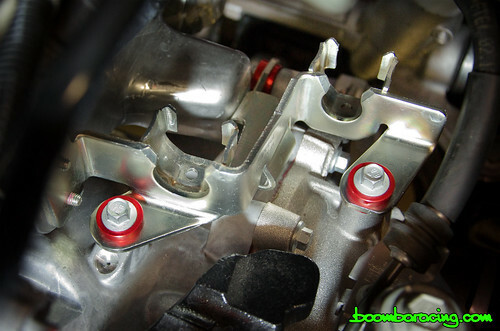 However the shifter base bushings are slightly different. We're working on those too! I'm a noob, will there be a write up on how to install these on the Fiesta ST? I can do that Sure ..